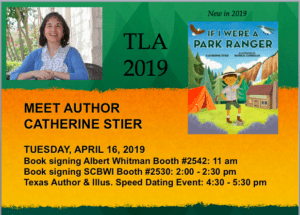 See You at TLA in Austin! Coming Soon from Albert Whitman & Co. (but available for pre-order NOW!). 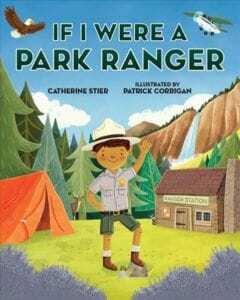 IF I WERE A PARK RANGER! If you were a national park ranger, you’d spend every day in one of the most treasured places in America. You’d have an amazing job protecting animals, the environment, and our country’s natural and historical heritage, from the wilds of Denali to the Statue of Liberty! Release date April 2019 but available for pre-order at your favorite bookseller. As today is Election Day, this seems a good day to share this news. 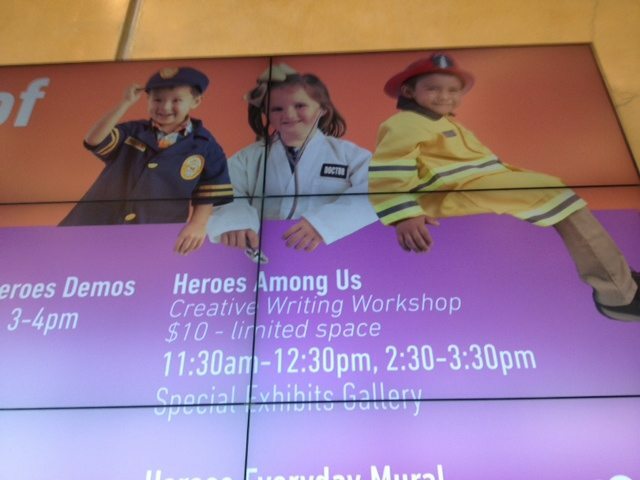 It’s not often that a children’s author gets to see her book read by not one – but three – super talented television actors. The young stars of the very popular and poignant THIS IS US read IF I RAN FOR PRESIDENT in this online video, as part of the Screen Actors Guild – American Federation of Television and Radio Artists’ Storyline Online program. 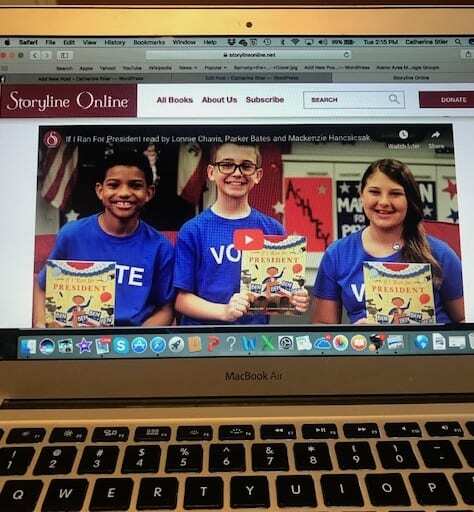 The Storyline Online literacy program offers families, educators, health care professionals and kids an online library of children’s picture books presented by guest readers and accompanied with animation-enhanced illustrations. The video featuring IF I RAN FOR PRESIDENT was released earlier this year, in observation of Constitution/Citizenship Day. Even though I knew about the upcoming video, it was still such a pleasant surprise to watch these three amazing, expressive young actors sharing the book. They performed in front of a very cool set with posters and decorations featuring characters from the book and these young people brought so much fun and warmth to the reading. 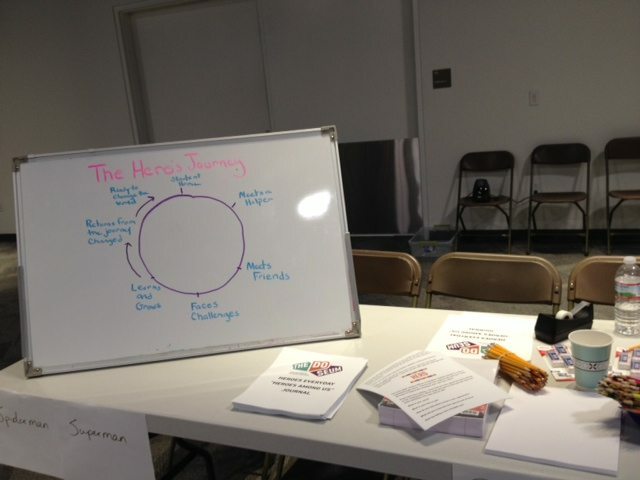 Oh, and Storyline Online offers an activity guide to accompany the book, too! I am proud that this book may help kids to do just that. 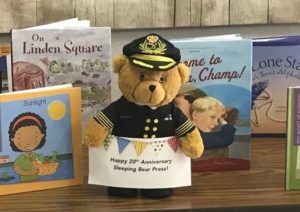 Last week I joined in the Sleeping Bear Press 20thanniversary celebration by taking part in a mini-visit to St. Gregory the Great Catholic School in San Antonio. The students and staff were incredibly kind and welcoming! After the nicest of introductions by Ms. Rosales, I shared a photo of a book I wrote in first grade and read my historical fiction picture book WELCOME TO AMERICA, CHAMP! (published by Sleeping Bear Press). Then students had some very interesting questions – “Do you get help writing your books?” “Do you tell the illustrator how you want the pictures to be?” I could tell that they put a lot of thought into these questions! 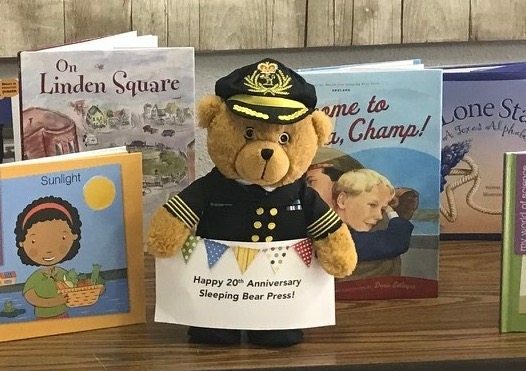 To mark their 20th anniversary, Sleeping Bear Press donated 20 new books to the school. 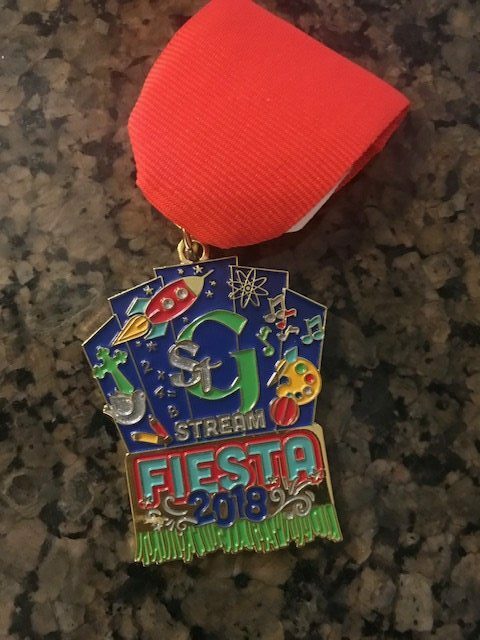 Oh, and the school gave me some fun Fiesta items, including this bright and festive Fiesta medal! Thank you to the students and staff at St. Gregory the Great and to Sleeping Bear Press for a truly amazing day! 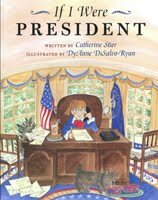 Rutgers University’s Center for American Women and Politics has announced the picture book IF I WERE PRESIDENT, by Catherine Stier and illustrated by DyAnne DiSalvo-Ryan, is this year’s selected book for their Teach A Girl to Lead project. These elected women leaders are encouraged to share the book and discuss leadership issues with groups of children in their districts, and then donate the books to the school or organization at which they appear. And they have! New York State Senator Elaine Phillips, Hawaii State Representative Nadine Nakamura and Florida State Representative Tracie Davis are just some of the elected leaders who have shared IF I WERE PRESIDENT with children to date. I am very proud that these women leaders are reading and discussing my book. I hope that its portrayal of both young boys and girls imagining themselves as POTUS will encourage all children to consider a possible future in positions of leadership. This spring, I celebrated with my family the completion of my Masters of Education/Reading and Literacy with a focus on children’s literature from the University of Texas at San Antonio. This program offered abundant opportunities to explore the research on children’s literacy and literature. I studied with incredible professors including Dr. Miriam Martinez, a children’s literature researcher, former Caldecott Medal selection committee member and my advisor; Dr. Roxanne Henkin, Director of the San Antonio Writing Project; and Dr. Carmen Tafolla, the instructor in my Multicultural Literature for Children Class and State Poet Laureate of Texas; among other stellar faculty members. While pursuing this degree, I had the amazing opportunity to create children’s works while researching kid’s literature. I released three new children’s books while enrolled in the program, including WELCOME TO AMERICA, CHAMP! (Sleeping Bear Press), the WWII historical fiction picturebook that inspired my independent research topic. 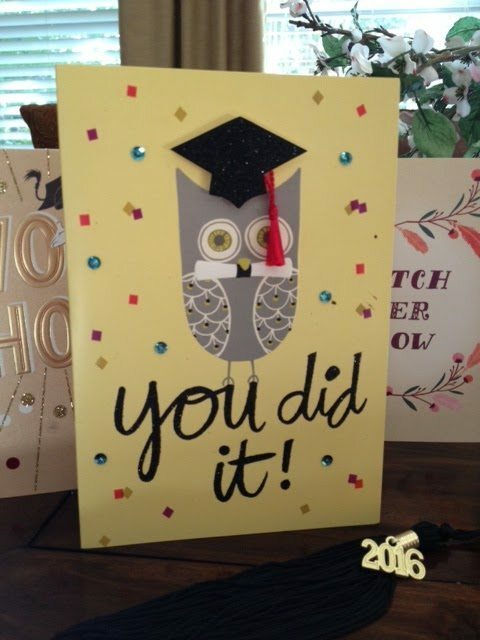 Additionally, through my completion of the exciting and intense summer institute of the San Antonio Writing Project (SAWP) held at UTSA, I became a SAWP teacher consultant. 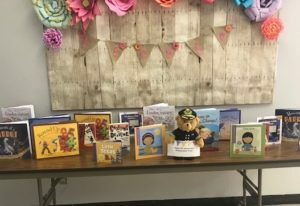 Guest speakers (in person and through Skype visits) at various programs associated with UTSA included children’s authors/illustrators Candace Fleming, Eric Rohmann, Yuyi Morales, Karen Cushman, Deborah Wiles and Pat Mora. How fascinating to hear about their writing and research practices! I am grateful to my family who encouraged me and to all the UTSA staff and faculty who guided me along my academic journey. 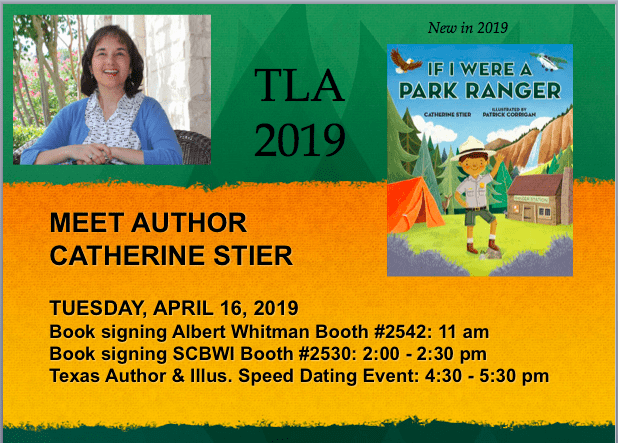 Today, I look forward to continuing to create children’s literature, now with an increased understanding and appreciation and fresh insights developed through this remarkable program. Just learned that last month, the Queen Mary staff hosted a giveaway, and gifted one winner (who liked their post on Facebook) with a copy of WELCOME TO AMERICA, CHAMP! in honor of International Children’s Book Day. 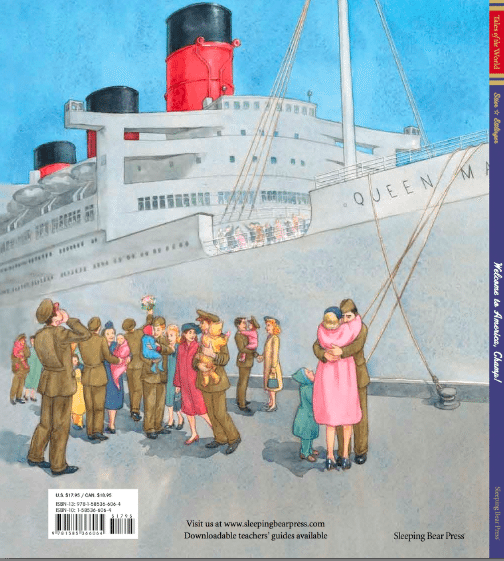 I hope the recipient enjoys both this story, set on the Queen Mary in 1946, as well as the gorgeous illustrations of the interior and exterior of the great ship by Doris Ettlinger. 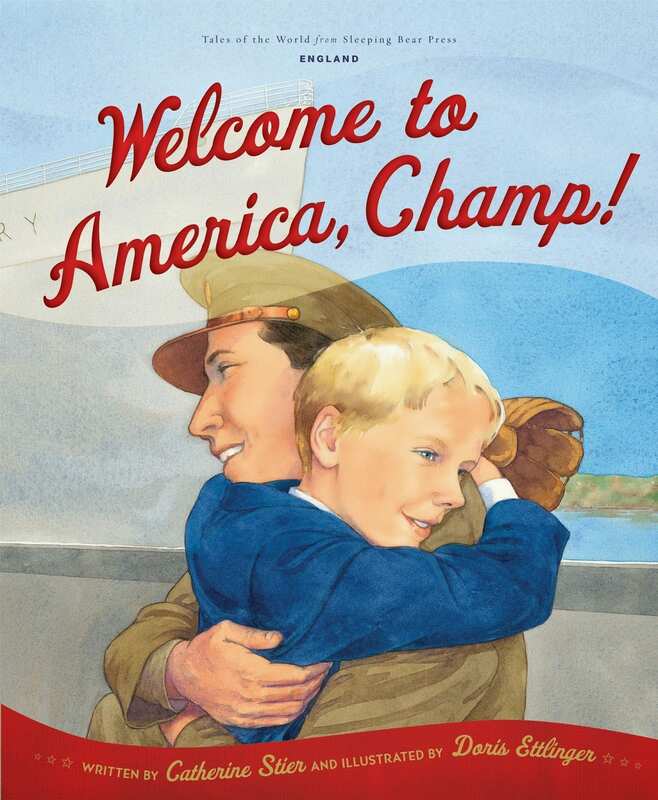 Happy to announce that the historical fiction picture book Welcome to America, Champ! by Catherine Stier and illustrated by Doris Ettlinger was named a 2014 Bank Street College of Education Best Books of the Year for Children! In this WWII era story, young Thomas, his mother, and baby brother journey from war torn England to a new home in America aboard the great ship The Queen Mary. During the 1946 “Brides and Babies” voyages, thousands of war brides just like Thomas’s mother embarked on transatlantic crossings to the U.S. to join the American servicemen they married during the war — and begin a new life in a new country. Copyright © 2019 Catherine Stier. Website by Websy Daisy.